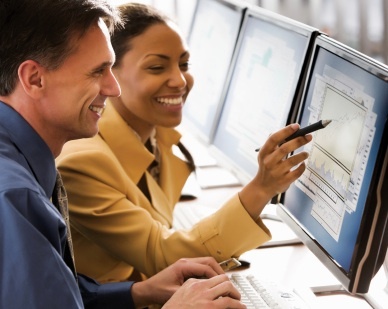 The Surplus Lines Agent License (1-20) allows the licensee to handle the placement of insurance coverages with unauthorized insurers and to place such coverages with authorized insurers as to which the licensee is not licensed as an agent. 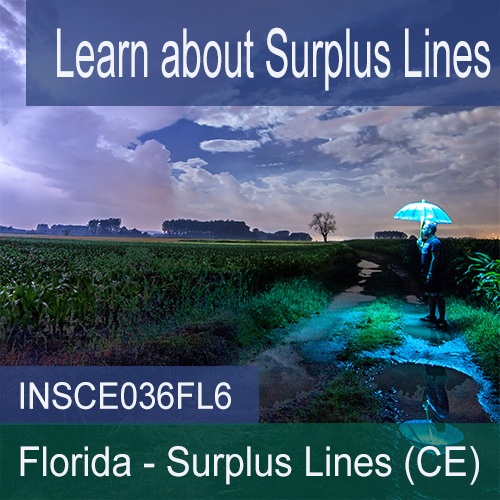 The Surplus Lines CE Course provides an overview of surplus lines insurance, the regulatory processes, distribution systems, unauthorized insurance entities and details on the Florida Surplus Lines Service Office (FSLSO), Rules of Practice and the Florida Statutes for the Surplus Lines Law. 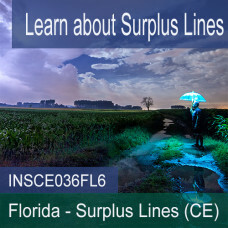 This course would be a great introduction for 2-20 agents to know how to work with Surplus Lines agents, or to give an overview of the 1-20 Surplus Lines license in case a General Lines agent wants to consider adding that license. 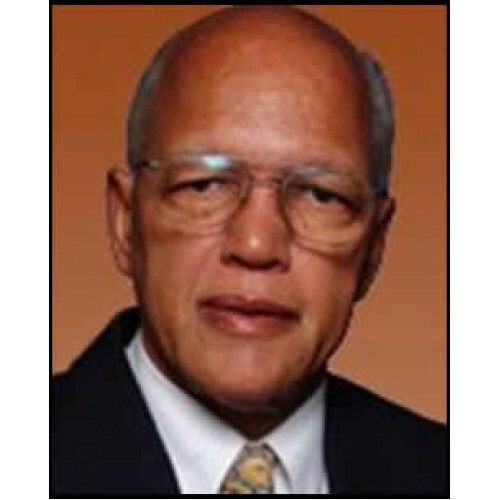 This continuing education course has been approved by the Department of Financial Services for six (6) hours of CE credit. 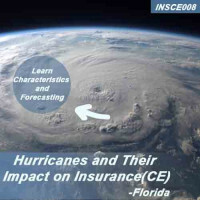 This FL Intermediate CE course is approved for all licenses (except 3-20).